Mike Teavee was always my favorite character from Charlie and the Chocolate Factory. Not just because of his relatable obsession with TV (and video games in the 2005 Tim Burton adaptation), but because of the peculiar way he obtained his golden ticket. He obtained it through deduction; through outsmarting the game and Wonka, observing the other winners and avoiding pitfalls, and I particularly love how it eventually led to his demise. Mike Teavee thought he knew every damn thing because he watched a ton of TV and knew how to navigate the Internet, and that got him pretty far, but not far enough. And as much as the premise of Ready Player One is reminiscent to the Chocolate Factory fable, Player One often rewards the geeky pop culture snobbery it purports to reject. There's something universally relatable about Ready Player One's need to escape. Our hero, Wade Watts (played dryly by Ty Sheridan), along with what appears to be most of the world is escaping poverty and boredom through the OASIS, a virtual reality platform that allows users to live out their biggest fantasies and wildest dreams. It's popular enough to the point where IOI (pronounced eye-oh-eye), the Amazon-like 2nd biggest company in the world -- behind OASIS developers Gregarious Games -- sees it as an opportunity to suppress and monetize the already-poor lower class. And after the death of OASIS founder James Halladay (an almost underused Mark Rylance), an easter egg hunt begins for the pop-culture-reference-heavy and Wade Watts' Parzavel avatar has found the first clue in five years. The whole story is quite timely, and it's probably what attracted Spielberg to the project. The once-and-forever king of blockbuster escapism has made a dystopian blockbuster about a generation of people who forge nothing but regurgitations of ideas of the past, often belonging to Spielberg himself. None of the characters, even the 'woke' rebellious ones, have a particularly large amount of creativity on any front, until they do. And if your head hurts right now, you should wait until you see some of the big action sequences in the film. The movie's not bad. I'll say that. It's far from it. There's technical perfection that you would come to expect from a guy like Spielberg, but the film lacks an emotional crux that motivates, or even justifies, a lot of Wade Watts' decision making. Yes, Wade often does the right thing, but he's never really given a reason why he consistently Charlie Buckets every trap laid in front of him, or why he's constantly being rewarded for being the nerdiest dude in the virtual room. Prior to its release, lots of negative buzz about the bro-y, Big Bang Theory-like toxic geek culture began to surface, but the film actually swiftly navigates away from that. Yes, there's a ton of pop culture references in Ready Player One, with large action sequence being devoted to a single classic horror film, but I was genuinely surprised at the respect and fineness it handled its previously thinly-written heroine and other minority characters. It should've been played up, if you ask me, but it definitely didn't feel like it was punching down at any one particular thing. And that's partially the problem. As fun and well-orchestrated as the high-octane chaos can be at times (Spielberg manages to remind viewers of Transformers, Lord of the Rings, and the Star Wars prequels in a single frame -- often without any of those properties actually on-screen), I'm left with the sense that no one really learned anything, especially the viewer. The moral of the story is essentially 'Log off and go outside' without really (or at least explicitly) addressing why people aren't really up for going outside right now in the first place. The main question when one asks themselves whether they're interested in paying money to see Steven Spielberg's bombastic, shameless CGI fest is whether they're willing to splurge for IMAX 3D. If not? Just wait. This movie, it feels, is going to either come alive or be forgotten in time. It's dense enough to justify analysis and second viewings, no doubt. 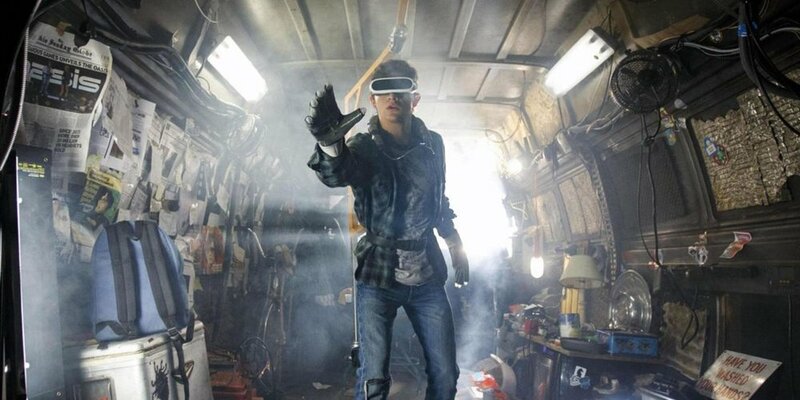 The movie feels like a virtual reality experience and Spielberg ideally is crafty enough to ferment a deeper sense of meaning in his films over time. If you're like me and are willing to give him the time of day and see how he handles a blockbuster family adventure in 2018: splurge for the biggest, most immersive screen possible and just have fun with it. It's just a game. Buy tickets to Ready Player One now on Fandango.